Print professional standard photos with the Epson EcoTank ET-7750 All-in-One Wireless Photo Printer. With its high capacity ink tanks and ability to print photos that will last for years, the EcoTank ET-7750 is perfect for making beautiful albums and collages in an instant. It's able to print up to A3 size too, so you can turn the best shots in your album into poster-sized memories. Gone are the days where great photos get lost in your phone's storage forever. 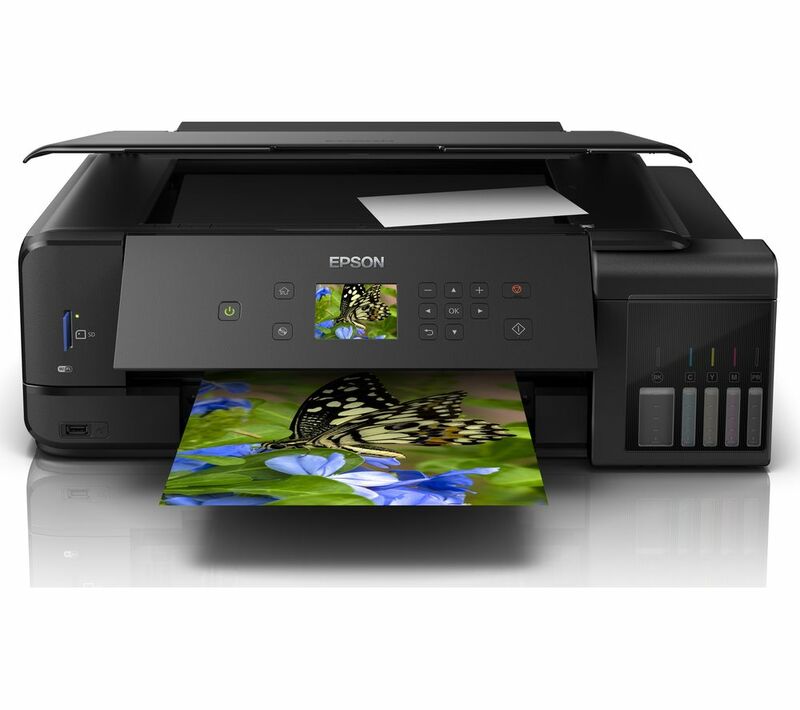 The EcoTank ET-7750 works with the Epson iPrint app, letting you print your favourite pictures wirelessly from your smartphone or tablet. You can even scan and save documents from your device, print a group of photos at once, design greetings cards or even buy more ink for your printer. It's a one-stop shop that handles your printing needs even when you're not home. If you like getting snap-happy on your adventures, printing your memories once you're home can get pricey. The ET-7750 features a cartridge-free EcoTank system, letting you top up ink via bottles rather than replace entire cartridges. There's enough ink to print up to 3400 photos, saving you a small fortune without the mess that traditionally comes with swapping ink over. An ink level display at the front shows you when you're running low, so your photos stay consistently vivid and colour-rich.